The beaches in Florida are perfect for shelling and beach combing. 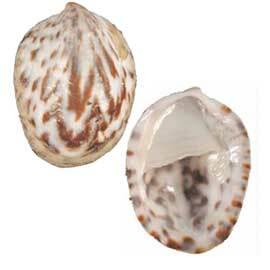 The best times to look for shells are after a high tide, after a storm, in the morning, and during the winter months. The following shells are commonly found on Florida's beaches. The Junonia is seldom found, and is considered a special find by beachcombers. 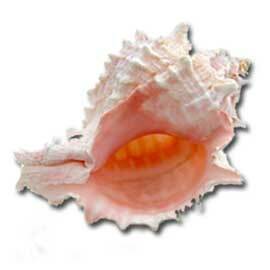 Fighting conchs are the type of conch most commonly found on beaches. 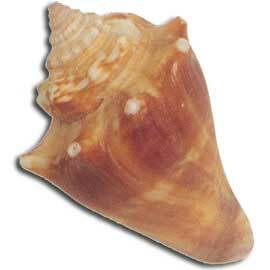 While alive, the seashell is a bright orange, but will fade under the bright tropical sunshine. Conch harvesting is now illegal in the state. 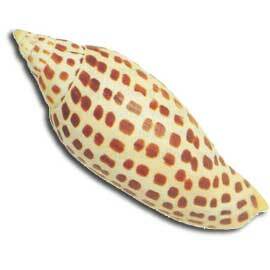 This shell is greatly prized for its beauty and apparent rarity by collectors. Its milky chamber is covered with distinctive brown spots on the outside, and the animal that occupies the shell is likewise marked. 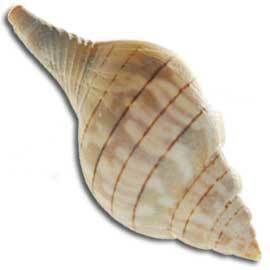 Large and distinctive, Lightning whelks grow up to 16 inches long. 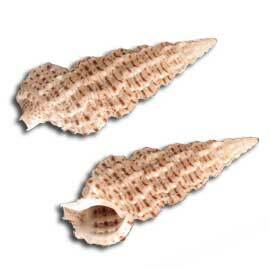 Lightning whelks were used by early island natives for boh food and tools, most commonly as lamps. 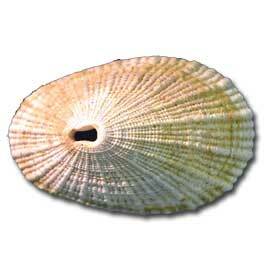 This species has a left-handed or sinistral shell. The heart cockle is one the most common shells found, though a rarity in other parts of the world. The cockle mollusk is a footed creature that can jump several inches in a single leap. Cockle shells can be quite large. Banded tulips and their larger, rarer cousins, true tulips, frequently wash up on island shores to the delight of collectors and beach combers who revel in their intriguing patterns and delicately swirling form. While alive, the sand dollar is thin, flat, brown, and bristled with tiny tubes that permit it to breath, move and camouflage itself. 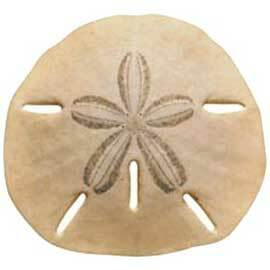 Exposed to the sun, Sand dollars will bleach to a beautifully white textured pattern. Named for its elongated oval shape, the olive comes in a variety of colors and variations, and often sports a glossy finish. 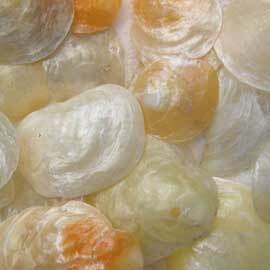 Olive shells will sun-bleached white and rarely grow beyond three inches long. 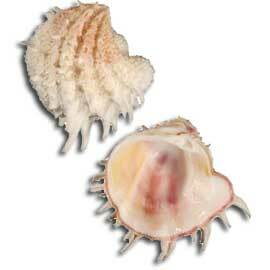 The Murex can have various shapes with a long "tail" and spikes all the way down, and a delicate pink interior. 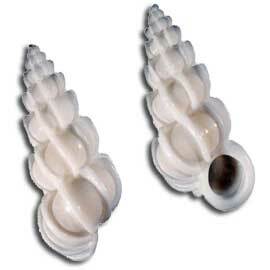 They are hard to find in good condition because they are fragile and the surf usually destroys the spikes. Coquinas are not much bigger than a dime, and come in many colorful patterns, stripes, solids, and even plaids. You will most likely see live coquina's digging their way into the sand when the waves recede. 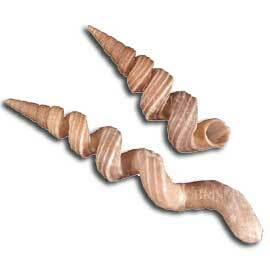 The Ceriths, are also known as horned shells, and are commonly found on the beach and can vary in size and ornament. The most common varieties: Varicose, Grass, Dark, Stocky, Fly Speck, and West Indian False. Worm snail looks like spaghetti stuck to a rock. Sometimes billions of worm tubes can build an actual reef. A large reef like that forms a barrier to a group of small islands called the Ten Thousand Islands. 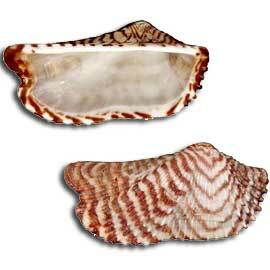 Spotted slipper shells are often called "boat" shells. When upside down, it looks like an old sailing ship with a flat deck. After 2 years of floating loose, they will eventually attach themselves to a rock or another empty shell. Limpets there are 35 different species and sub species of Limpets in North America. Keyhole Limpets have an opening in the top of the shell. 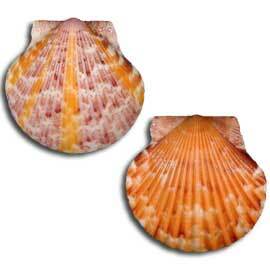 Limpets shells are conical or cap shaped without spiral whorls. Turkey wings unique shape makes them easy to identify. Because the shells vaguely look like outstretched bird wings they're called Turkey Wings. 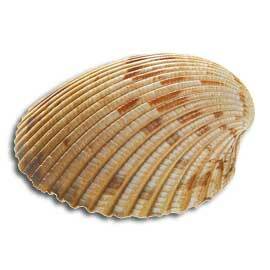 Shell is a little over two inches long, oblong, with one side more or less straight. Wentletraps, staircase shells, or ladder shells, are notable for their intricately shell structure. Most species of wentletrap are white, and have a porcelain-like appearance. 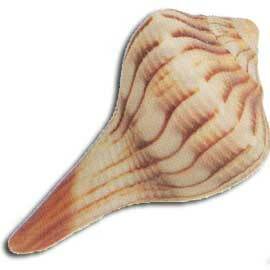 These shells are prized by collectors. Brightly colored, fan-shaped shells of some scallops, with a radiating fluted pattern, are valued by shell collectors. 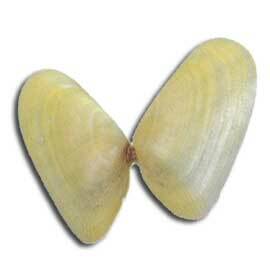 Up to 2 inches in length, patterns on this clam are diverse and beautiful. About 1-1/2 inches in length, the Florida Spiny Jewel Box is found along the coast of Florida. It is white; the interior may show tinges of pink or red. 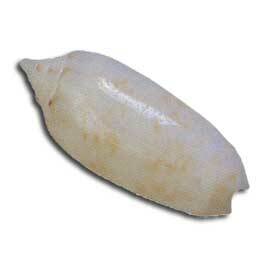 The shell itself is thick and heavy for its size. Jingle Shells are wrinkled and polished looking and come in a variety of translucent colors from shades of orange to dark gray, with white and off-white being common as well. They make a jingling sound when shaken.